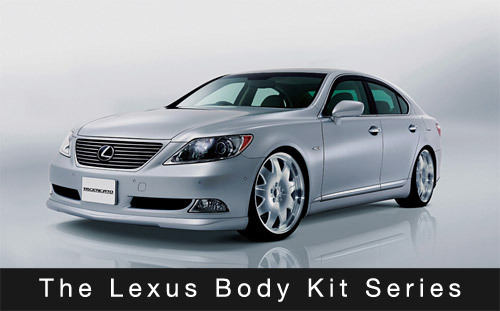 With the site now more than two months old, I believe it’s time to introduce my first large-scale project: to document each and every body kit available to Lexus owners. My intention is work my way back in reverse chronology, beginning with the LS 460/460L/600hL and ending with Lexus’ first release, the LS 400. The plan is to finish by the beginning of October, which breaks down to approximately three models a week. This may prove to be wholly inaccurate, though, as even with specific models, such as the LS 400, there were three distinct body styles with different body kits for each. I’ve created a separate section on the site for this project, which will be growing significantly as this project nears completion. As with anything of this size, there’s bound to be mistakes and omissions, and I invite any and all assistance. If you notice any inaccuracies, please contact me or leave a comment.